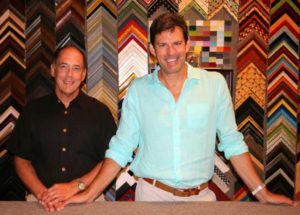 “Our goal is to be the best framer in the Triangle, and to feature artists whose work we are truly passionate about,” says John. He has a BA in Fine Arts from Colorado College and loves working with customers. “We’re lucky to work in such a positive, creative business–people give us something they care about, we work together to create a custom design they like, and they get something beautiful back. It’s very satisfying.” He also loves working with collectors and artists. Keith works behind the scenes making frames and running the business (he has a degree in finance from Kent State); you might see one of his classic cars out front. 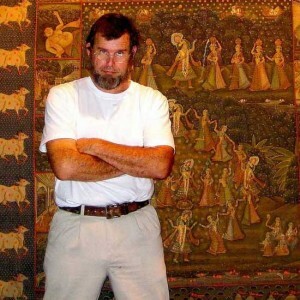 Linwood Hart been working in art-related fields for over 30 years, and has a deep understanding of the Triangle arts community. Linwood grew up on a dairy and tobacco farm in northern Granville County, which he still owns, and received his BA from North Carolina State University. An award-winning artist, Linwood’s paintings can be seen at Craven Allen, at his studio in Golden Belt, at Frankin Chapel Hill, and in exhibitions around the Triangle and beyond. Kathryn graduated from Boston University with a BFA in painting 1992; she’s continued to pursue a painting career while working full time at Craven Allen. 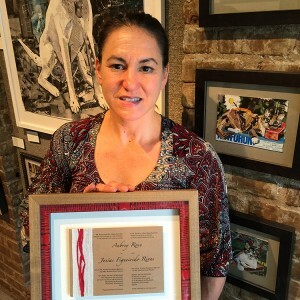 Her painting/collage work is shown at venues throughout the Triangle, including Craven Allen, and is featured in collections across the country. Kathryn is known for her commissioned portrait work of people and animals. A Master Framer as well as Gallery Director, she is the point person for gallery exhibitions. A southern West Virginia native, Mark received a Bachelor of Fine Arts Degree from West Virginia University in 1997. Mark is passionate about contemporary art and literature, and his evocative large-scale paintings can be seen at Craven Allen. 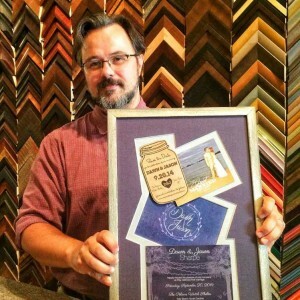 He’s a gifted framer whose easygoing sense of humor helps keep the Craven Allen workspace on an even keel under pressure–an ability honed by the challenges of raising his two young children with his wife, Amy. Charlie’s primary responsibilities include: Official Greeter, Employee Morale Officer and Afternoon Nap Coordinator. 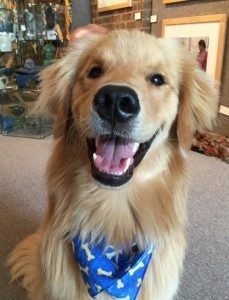 See puppy Charlie play the piano for treats!